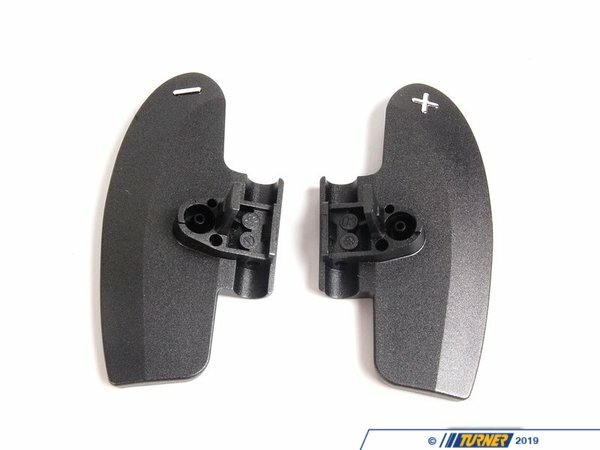 These are the Genuine BMW Euro SMG paddles, which offer a slightly larger size than that of the US specification E46 M3. 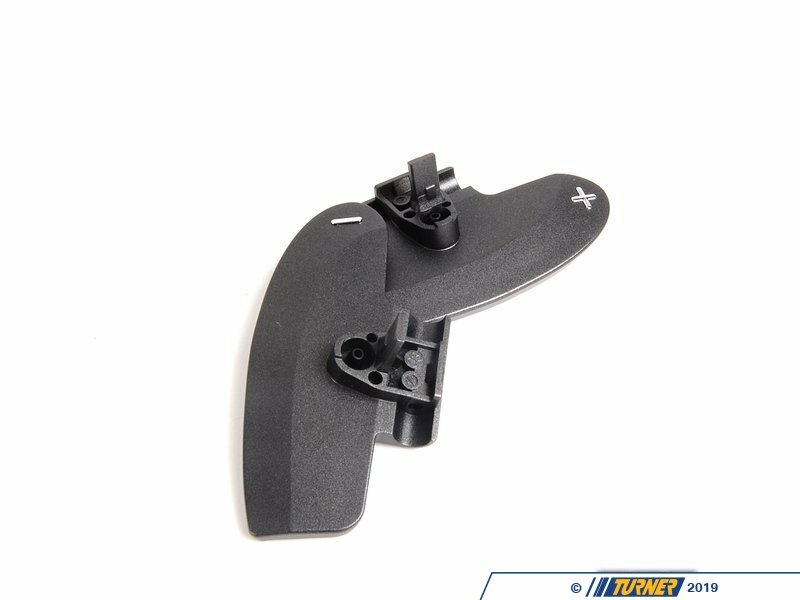 If you are finding your SMG shifter paddles are slightly out of reach, or want an ever so slightly larger contact area at your finger tips, these paddles may be the solution. 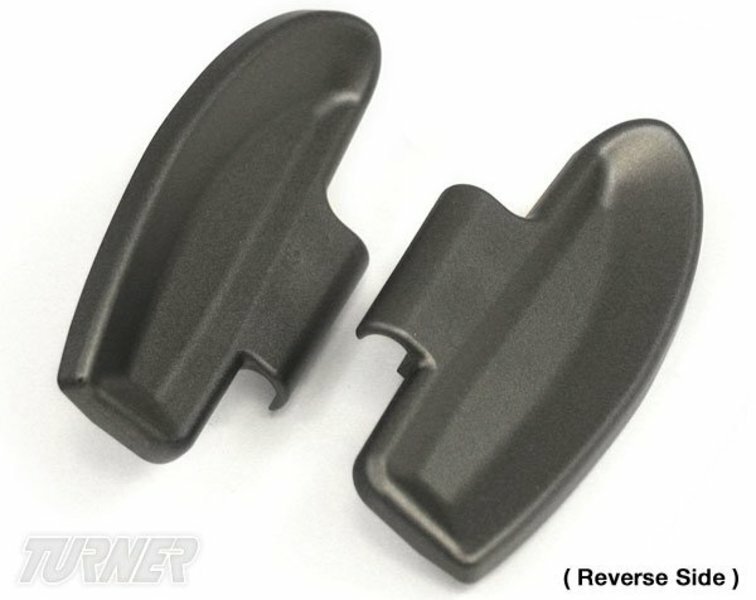 The difference in these paddles and the stock / normal sized paddles is that they are slightly wider, bringing them closer to the rim of the steering wheel as well as to your fingertips, particularly with your hands at the 3 and 9 o'clock positions. 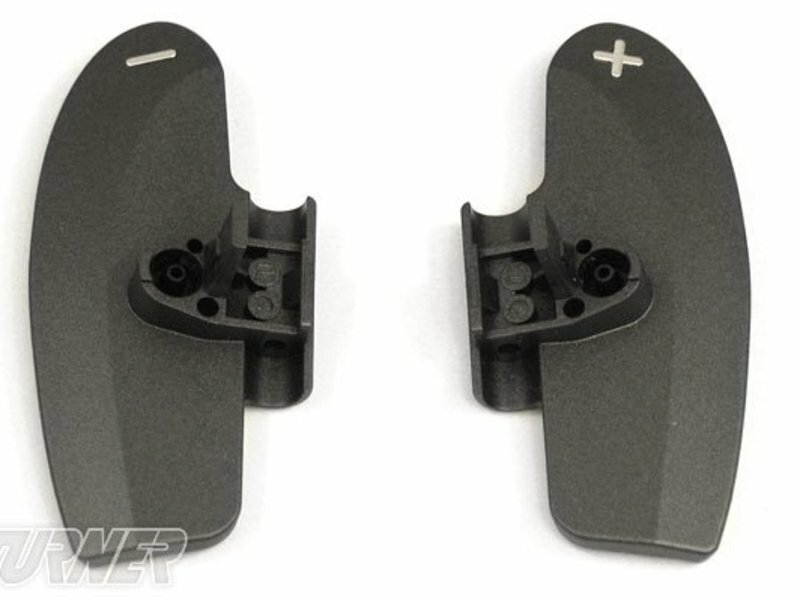 If the standard SMG paddles are just barely out of reach with the standard paddles, these will allow you to rest one or two fingers on the shifting paddles while driving. Replacing your SMG paddles is quite simple, and requires only a small allen wrench (we recommend a long "T-handle" style). 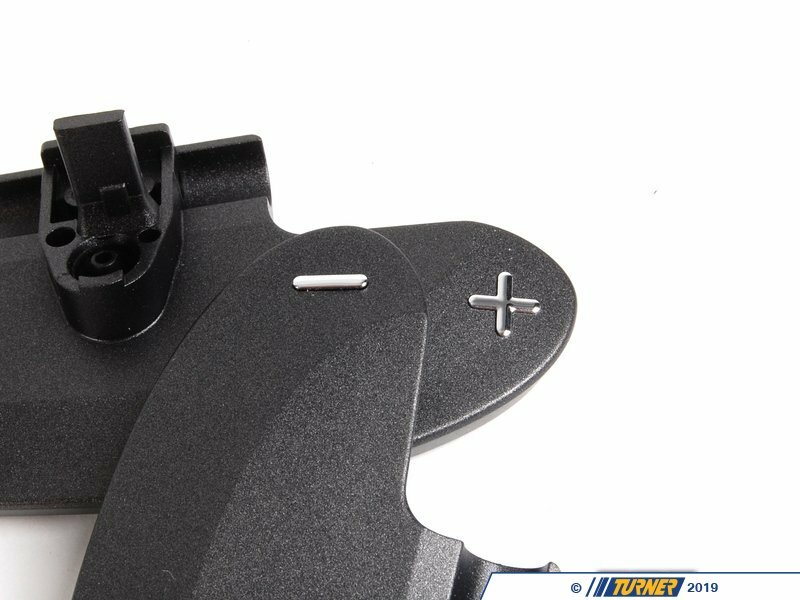 As the SMG paddles do not connect to wires or switches in anyway, there is no wiring or difficult install required. This can be done in as little as 5 minutes.